Cherokee Chief Vetoes Marijuana Legalization Study Resolution. The principal chief of the Eastern Band of Cherokee Indians, Patrick Lambert, has vetoed a resolution authorizing a feasibility study to examine the "issues and impacts associated with the legalization of cannabis" on tribal lands. "I have stated my opposition to the recreational use of drugs many times, and this includes marijuana," Chief Lambert wrote in his veto letter to Tribal Council Chairman Bill Taylor. Tribal members supporting legalization, organized as Common Sense Cannabis, responded with a statement saying Lambert was misguided: "In Chief Lambert's veto letter, he solely focuses on the 'recreational' marijuana, in which we call personal use. He cites recreational drug use as the problem in our community. While he is right about drug use as a problem, it does not stem from cannabis use. 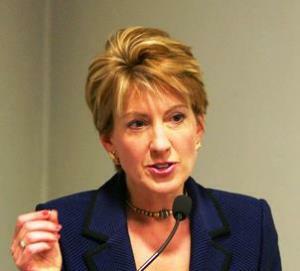 The problem lies with legal prescription pills and other synthetics, such as meth and heroin." The group is calling for the veto to be overridden in a tribal council meeting this Thursday. Florida Approves Five Medical Marijuana Growers. The state Department of Health has named the five operations that will be allowed to grow high-CBD, low-THC marijuana. The state's law limits the use of oils derived from the plants to patients suffering from cancer or a disease that "chronically produces symptoms of seizures or severe and persistent muscle spasms that can be treated with low-THC cannabis." New Hampshire Woman Wins Approval to Seek Medical Marijuana in Maine. A woman suffering from late-stage lung cancer can seek to buy medical marijuana in neighboring Maine, a judge ruled last Tuesday. Linda Horan, 64, said she could be dead by the time dispensaries open in New Hampshire, so she sued the state to get an ID card that would allow her to purchase it in Maine. The state had argued that issuing her an ID card would undermine its need to control distribution, but the judge wasn't buying that argument. "She is suffering from a painful, terminal disease and is also undergoing chemotherapy. There is no dispute that cannabis can ameliorate some of her suffering," wrote Judge Richard McNamara. "She will suffer irreparable harm if relief is not granted." 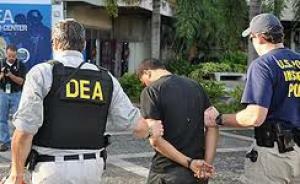 Justice Department Inspector General Slams DEA Snitch Practices. In its semiannual report to Congress, the DOJ's OIG criticized the DEA for failing to have guidelines for the use of "high-level and media-affiliated sources," failing to effectively review snitches' authorization to conduct "Otherwise Criminal Activity," and failing to review its continued use of long-term snitches. The report also noted that the DEA was at times uncooperative, including efforts to obstruct the OIG's reviews of snitch file reviews and long delays in providing requested information. European Parliamentary Council Calls for Public Health-Oriented Drug Policy. The Parliamentary Assembly of the Council of Europe, in advance of next year's UN General Assembly Special Session (UNGASS) on Drugs, has called for a public health approach to drug policy. "The Committee on Social Affairs, Health and Sustainable Development of the Parliamentary Assembly of the Council of Europe stresses that the world drug problem constitutes a major public health threat, for both individual drug users and society as a whole… the committee strongly supports the call for a change in approach to drug policy and calls on member States to adopt and promote a public-health-oriented drug policy based on prevention, treatment and harm reduction. It also invites all participants of the UN General Assembly Special Session on the World Drug Problem to defend a new approach to drug policy, which should shift the emphasis from criminal justice to public health." Dutch Localities Call for Regulated Marijuana Cultivation. The association of Dutch localities, VNG, has issued a new report calling for the government to regulate and license marijuana cultivation as a means of squeezing out smugglers and organized crime. The Dutch allow for the sale of small amounts of marijuana, but there is no legal provision for supplying the crop. 'The current situation cannot continue,' the report states. 'As local officials, we are experiencing major social problems… By turning a blind eye [to marijuana], the government is giving criminals free rein to sell their products. The cannabis industry is loosely entwined with organized crime, which is also involved in ecstasy and human trafficking," the report says. Uttarkakhand to Become First Indian State to Allow Hemp Cultivation. The state government is now allowing farmers to grow hemp plants with less than 1.5% THC for industrial purposes. The crop can only be sold to the state government, not private buyers. This article was produced in collaboration with AlterNet and will appear at http://www.alternet.org/drugs/. 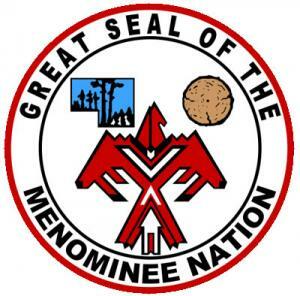 Taking advantage of a 2014 Justice Department memo giving Indian tribes a green light to participate in marijuana commerce, as well as a 2014 congressional vote allowing for industrial hemp pilot programs, Wisconsin's Menominee Tribe earlier this year planted some 30,000 cannabis plants as part of a pilot project with the College of the Menominee Nation. Last Friday, the DEA came and cut them all down. The DEA says the plants were marijuana plants; the tribe says they were hemp plants. In either case, tribal officials and marijuana reform advocates don't understand why the grow was raided. Even if it were marijuana, it appears to be an operation well within Justice Department guidelines. And that's leading to some pointed questions about whether the feds have one standard for pot-legal states and another for the tribe-legal jurisdictions. The memo that allows for marijuana commerce on the reservation includes eight potential enforcement triggers first formulated in a 2013 Justice Department memo (the Cole memo) advising federal prosecutors to lay off of recreational and medical marijuana operations in states where they are legal. Those triggers include diversion to other localities, money going to organized crime, and violence associated with the trade, among others. The raid came after the tribe allowed a Bureau of Indian Affairs employee and local police to inspect the operation and take plant samples. And that visit came after a meeting between the BIA agent, the local cops, and an assistant US attorney. According to the DEA affidavit for a search warrant, the samples tested positive for "marijuana," although there was no measurement of THC levels in the plants. Industrial hemp is high in fiber, but low in THC, with levels at 0.3% or less. Pot produced for the recreational market, by contrast, typically has THC levels of 15% to 20% and beyond. There is a possibility some of the plants could exceed the 0.3% limit, but not by much. The DEA affidavit also attempted to make a case that the hemp grow was violating those Justice Department triggers. The tribe had hired Colorado cannabis consultant Brian Goldstein to consult on its grow, and Goldstein, along with Tribal Chairwoman Ruth Wapoose, had in fact guided the feds and the local cops on their tour of the operation. But Goldstein was "white," the affidavit noted, and several other people present appeared "non-native," and some vehicles had Colorado plates. This, the affidavit somewhat tortuously argued, violated the memo's provision about diversion from states where marijuana is legal to those where it is not. It seems to claim that hiring a cannabis consultant from a legal state is equivalent to importing pot from that state. The affidavit also stretched to assert the operation was setting off other enforcement triggers. The lack of ventilation in a drying room "is a health and safety concern for the community and the individuals associated with the operation, which is a violation of the enumerated priorities listed in the Cole memorandum regarding adverse public health concerns of marijuana cultivation," it argued. But drying hemp stalks in closed barns is standard practice and is used by farmers around the country, including those who produced legal hemp crops this year in Colorado and Kentucky. And security personnel guarding the property had guns, leading the BIA agent to question "the ability for the security team to have weapons for protection because it would violate the Cole memorandum." Now, the grow has been destroyed, any decision on criminal prosecution is in the hands of federal prosecutors, and the tribe and other observers are wondering just what is going on. After all, the Menominee aren't the only tribe to take the Justice Department at its word, only to be raided down the road. This past summer, the DEA hit two California tribes, the Pit River Tribe and the Alturas Indian Rancheria, seizing 12,000 plants. The feds alleged Cole memorandum violations including financing from a foreign entrepreneur and fears the marijuana would be distributed outside the reservations in ways that violated the state's medical marijuana law. And the US attorney in South Dakota a month earlier refused to agree to lift an injunction barring Oglala Sioux tribal member Alex White Plume from growing hemp, which the Oglala Sioux Nation has legalized. Are the tribes being held to a different standard than states where it is legal? Has there been a policy shift at Justice? Are individual federal prosecutors going off the reservation? Menominee Tribal Chairman Gary Besaw doesn't know, but he isn't happy about it. "I am deeply disappointed that the Obama administration has made the decision to utilize the full force of the DEA to raid our Tribe," he said in a statement after the raid. 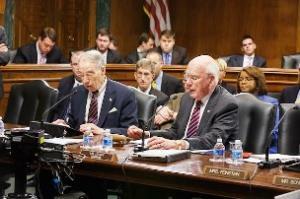 "We offered to take any differences in the interpretation of the farm bill to federal court. Instead, the Obama administration sent agents to destroy our crop while allowing recreational marijuana in Colorado. I just wish the President would explain to tribes why we can't grow industrial hemp like the states, and even more importantly, why we don't deserve an opportunity to make our argument to a federal judge rather than having our community raided by the DEA?" Neither was Eric Steenstra, head of the hemp industry advocacy organization Vote Hemp. "The DEA action in this case is egregious, excessive and presents an unjust prejudice against Indian Country and the rights of sovereign tribal nations," he said. "The Menominee Indian Tribe cultivated their industrial hemp in accordance with Federal Law, per the legislation put forth in the Farm Bill. This is a step backward, at a time when great progress has otherwise been made toward legalizing and regulating industrial hemp cultivation." In an interview with US News and World Report, tribal law expert Lance Morgan, a member of Nebraska's Winnebago tribe who has worked with tribal governments pondering marijuana operations, said the Cole memorandum guidelines are not being applied consistently and warned the Menominee raid would be remembered as a historic betrayal. "How can you allow people to buy marijuana in a retail environment in some states and then raid an industrial hemp operation of a tribe? The only difference is that there is a tribe involved," he said. "This odd federal policy of encouraging investment and then raiding the new business sets us back a few decades in federal tribal trust and economic policy." The raids against tribal pot operations will kill investment in such ventures, Morgan said. "The new federal policy of 'sort of' allowing tribes to get into the marijuana business is especially cruel and unusual because it encourages investment, but after the investment is made the federal government comes and shuts it down and the investors lose all their money." Tribal law expert and former head of New York's Seneca Nation Robert Odawi Porter agreed that there is at least the appearance of a double standard. "This certainly suggests a real divergence in policy approach for Indian country," compared to the pot-legal states, which have been allowed to develop enormous marijuana industries, he said. "It increasingly looks like the Justice Department guidelines are not being interpreted in the same way as they were intended." It seems like the Justice Department has some explaining and clarifying to do. Can the tribes participate in the new marijuana economy like that states, or not? And does the DEA accept the legal definition and status of hemp? If not, why? NORML endorses the ResponsibleOhio legalization initiative, California legislators pass medical marijuana regulation, the White House issues its annual report on drug trafficking countries, and more. The controversial initative has won an endorsement from NORML. Martin O'Malley to Hold Marijuana Legalization "Listening Session" in Denver This Week. The former Maryland governor and Democratic presidential contender will hear from policymakers, experts, business owners, and law enforcement about how Colorado's decision to legalize marijuana has been working and affecting communities across the state. As governor, O'Malley decriminalized marijuana in Maryland and started the state's medical marijuana program. In his presidential campaign, Governor O'Malley calls for re-classifying marijuana as part of his criminal justice platform. 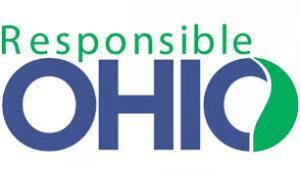 NORML Endorses the ResponsibleOhio Legalization Initiative. The board of the National Organization for the Reform of Marijuana Laws (NORML) has voted to endorse the ResponsibleOhio initiative. While the board expressed concern about "investor-driven initiatives," calling them a "perversion" of the initiative process, it said that ending prohibition outweighed the negatives. Click on the link for the entire statement. California Legislature Approves Medical Marijuana Regulation. After nearly 20 years of wrangling over what is and is not legal under California's 1996 Proposition 215 medical marijuana law, the state legislature has passed a set of bills designed to bring order to the chaos. After working with Gov. Jerry Brown (D) on acceptable language, the Assembly and the Senate Friday passed Assembly Bill 243 Assembly Bill 266, and Senate Bill 643. The session ended at midnight Friday. Click on the title link for more, and look for a feature article later this week on reaction to the move. White House Drug Trafficking Nation List Singles Out Bolivia, Burma, Venezuela. The White House released its annual Presidential Determination on Major Drug Transit or Major Illicit Drug Producing Countries today, and singled out Bolivia, Burma, and Venezuela as failing to comply with US drug war demands. The other countries on the list are: Afghanistan, The Bahamas, Belize, Colombia, Costa Rica, Dominican Republic, Ecuador, El Salvador, Guatemala, Haiti, Honduras, India, Jamaica, Laos, Mexico, Nicaragua, Pakistan, Panama, and Peru. Click on the link to read the entire determination. South Dakota Indian Tribal Chairman in Hot Water Over Mass Drug Testing. In a bid to address drug abuse on the reservation, Sisseton Wahpeton Oyate Tribal Chairman Bruce Renville ordered surprise, mandatory, suspicionless drug testing of hundreds of tribal employees last month. But while some of them came up dirty, Renville is the only one whose job is in danger. Tribal opponents accuse him of trampling individual and constitutional rights with the move, and now the council has suspended him from his position, with a hearing on whether to fire him set for later this week. Click on the link to read a very detailed report. UN High Commissioner for Human Rights Issues Report on Drugs and Human Rights. The Human Rights Council had requested the study, which will be presented to the council at its next session. The study, Impact of the World Drug Problem on Human Rights, examines the impact drug policy decisions on personal and public health, harm reduction, as well as examining the role of criminal justice systems and the use of the death penalty. Philippines Bans Hemp Products. The Philippine Food and Drug Administration and Philippine DEA have banned the sale of consumer products containing "hempseed oil or their varieties and derivatives from cannabis or marijuana in consumer products." The move is being sold as an effort "to protect the public from the harmful effects of dangerous drugs," even though hemp products normally don't contain more than trace amounts of THC, the main psychoactive substance in marijuana. Another federal bill to get DC out of state marijuana laws is filed, a Hawaii bill would inflict a 25% on medical marijuana purchases, a Pennsylvania medical marijuana bill moves, a Missouri hemp bill moves, and more. Six Republicans File Federal Respect State Marijuana Laws Act. Led by Rep. Dana Rohrabacher (R-CA), a half-dozen GOP congressmen today filed the act, which would amend the Controlled Substances Act to clarify that anyone acting in compliance with a state marijuana law would be immune from federal prosecution. The act would apply to both medical and recreational marijuana laws. It is not yet available on the congressional web site. Hawaii Senate Approves 25% Tax on Medical Marijuana Sales. The bill is House Bill 321. It was approved by the House without the tax provision, which was added by a Senate committee without any public hearing. The bill now goes to conference committee, where advocates hope the tax can be reduced or eliminated. There is no tax on prescription medications. Illinois House Approves Bill Extending Medical Marijuana Program. The bill, sponsored by Rep. Lou Lang (D-Skokie), would extend the program beyond January 1, 2018, when it is set to expire as a pilot program. The bill now goes to the Senate. Pennsylvania Medical Marijuana Bill Moves. The Senate State Government Committee has approved Senate Bill 3, but will hold further hearings on it next month. The sponsor, Sen. Mike Folmer (R-Lebanon County) says it may be modified to address concerns raised in the House. Missouri House Approves Hemp Bill. The House Tuesday approved House Bill 830, which would license and regulate hemp production in the state. The bill now goes to the Senate. Louisiana Bill to Ban Kratom Advances. The House Criminal Justice Committee Tuesday approved a bill that would add the leaves of the Southeast Asian tree to the state's controlled substances list. The bill is House Bill 174. Congress is back and reform bills are picking up new cosponsors, new polls have Iowa dead even on pot legalization and Virginia favoring it, a major medical marijuana conference is coming, Ecuador begins debating a groundbreaking drug reform bill, and more. Federal Marijuana Prohibition Repeal Bill Picks Up New Cosponsor. Rep. Jan Schakowsky (D-IL) is the latest sponsor of HR 1013, the Regulate Marijuana Like Alcohol Act. The bill now has 14 cosponsors -- 13 Democrats and one Republican. Click the link to for more bill information. Iowa Poll Has State Split on Legalization, Strong Support for Medical. A new Quinnipiac University poll has Iowans split 47% to 47% on legalizing pot, but overwhelmingly in favor of medical marijuana, with 86% saying they support it. Virginia Poll Has Majority for Legalization.A new Quinnipiac University poll has Virginians backing marijuana legalization, with 54% in favor and only 41% opposed. The poll also had support for medical marijuana above 80%. Federal Medical Marijuana Bill Picks Up New Cosponsors. The CARERS Act, HR 1538, which would end federal interference in states with medical marijuana laws, has picked up new sponsors over the recess. The latest are Reps. Justin Amash (R-MI), Donald Beyer (D-VA), Earl Blumenauer (D-OR), and Joseph Heck (R-NV). The bill now has 12 cosponsors, evenly divided among Democrats and Republicans. Click the link for more bill information. Federal CBD Medical Marijuana Bill Picks Up New Cosponsors. The Charlotte's Web Medical Access Act, HR 1635, which would remove cannabidiol (CBD) and CBD-rich marijuana plants from the Controlled Substances Act, has picked up new cosponsors. The latest are Reps. Paul Ryan (R-WI) and Mick Mulvaney (R-SC). The bill now has 20 cosponsors, evenly divided among Democrats and Republicans. Click on the link for more bill information. 9th Annual Clinical Cannabis Conference Next Month in Florida. The medical marijuana advocacy group Patients Out of Time is hosting this premier event. Click on the link for all the details and registration information. Tennessee Lawmakers Approve CBD Cannabis Oil Bill. Both the House and the Senate unanimously approved a bill to allow the use of CBD cannabis oil for the treatment of seizures in children Monday night. House Bill 197 now awaits the signatures of Gov. Bill Haslam (R). Federal Hemp Bill Picks Up New Cosponsor. The Industrial Hemp Farming Act, HR 525, which would remove hemp from the Controlled Substances Act, has picked up a new cosponsor. The latest is Rep. Ed Perlmutter (D-CO). The bill now has 55 cosponsors -- 36 Democrats and 19 Republicans. Click on the link for more bill information. Senate Judiciary Committee Hearing on Civil Asset Forfeiture Reform Tomorrow. The committee will hear from an asset forfeiture abuse victim and an attorney for the Institute for Justice, which has been fighting to rein in such abuses, as well as a representative of the Fraternal Order of Police. 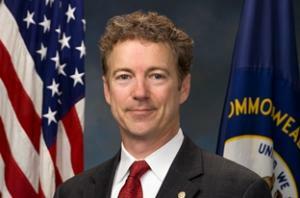 Sen. Rand Paul (R-KY) will also address the panel. Indiana Welfare Drug Testing Bill Filed. Rep. Terry Goodin (D-Crothersville) today filed an amendment to Senate Bill 465 that would require welfare recipients to undergo screening for drug use and require those identified as high-risk to undergo drug testing. 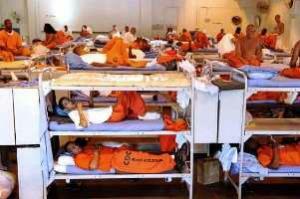 House Version of Federal Sentencing Reform Bill Picks Up New Cosponsors. The House version of the Smarter Sentencing Act, HR 920, has picked up new cosponsors. The latest are Reps. Steve Cohen (D-TN) and Peter DeFazio (D-OR). The bill now has 26 cosponsors -- 20 Democrats and six Republicans. Click on the link for more bill information. Ecuador Debates Bill That Would Regulate, Not Prohibit, Controlled Substances. Last Thursday, legislators in Quito began debating a new Organic Law on Comprehensive Drug Prevention. The bill, supported by the ruling PAIS Alliance, would "control" more than a hundred substances, including alcohol and tobacco and calls for a Technical Secretariat of Drugs to "regulate and control the activities related to the import, export, cultivation, production, marketing, distribution, transportation, and use" of those substances. Under current Ecuadorian law, cultivation or sale of banned substances garners prison sentences of 12 to 16 years; under the new law, that would be replaced by fines and seizures of the substances. Debate on the bill is expected to happen intermittently over the next few months. Marijuana in Alaska Will Be a "Regulated" Substance, Not a "Controlled" One Under House Bill. The House Judiciary Committee will remove marijuana from the state's list of controlled substances and move it to the list of regulated ones, committee chair Rep. Gabrielle LeDoux (R-Anchorage) said Friday. The Senate version of the bill, Senate Bill 30, keeps marijuana as a controlled substance, so this isn't a done deal just yet. California Marijuana Legalization Meetings Set. The Blue Ribbon Commission on Marijuana Policy, led by Lt. Gov. Gavin Newsom (D) will hold a public forum at UCLA on August 21. That will be followed by another forum in Santa Cruz on April 23. Click on the title link for more info and to RSVP. People who want a voice in how legalization is going to look in the Golden State need to show up. Colorado February Pot Sales Hit Record. Recreational marijuana outlets sold $39.2 million worth of weed in February, beating the previous monthly record of $36.4 million, set the previous month. Much of the increase is being attributed to the opening of more marijuana stores, especially in Aurora, the state's third largest city. Maryland Legislature Approves Paraphernalia Decriminalization. In what was largely a housekeeping move after the state decriminalized marijuana possession last year, the legislature has approved a bill decriminalizing the tools used to smoke it. The measure is Senate Bill 456. It won final approval in the House Saturday and now goes to the governor's desk. Missouri Bill to Free Marijuana Lifer Advances. A bill that would free Jeff Mizanskey, who is doing life without parole in state prison for a marijuana offense, has advanced. The measure, HB 978, passed the House Select Committee on the Judiciary last week, but amended it so that Mizanskey is not automatically set free, but instead will be able to seek parole. The bill now awaits a House floor vote. Washington House Approves Bill to Reconcile Medical, Recreational Marijuana Systems. The House last Friday approved Senate Bill 5052, which has already passed the Senate. But because the House amended it, it will have to go back to the upper chamber for a final vote. The bill would create a patient registry, eliminate the current collective garden structure and replace it with four-person growing cooperatives, and require state regulators to use a merit-based system for granting marijuana business licenses, which should help out collective gardens trying to go recreational. The patient registry would be voluntary, but people would have to sign up if they wanted to avoid having to pay taxes on their medical marijuana purchases. Wisconsin Lawmaker Files Legalization Bill. Rep. Melissa Sargent (D-Madison) today introduced a bill to legalize marijuana. The bill would create a 25% excise tax on marijuana sales. The bill is not yet available on the legislative website, but she authored a similar bill last year. That bill went nowhere in the Republican-controlled legislature, and this one is expected to meet the same fate. Florida CBD Cannabis Oil Regulation Bill Wins Committee Vote. The bill, Senate Bill 7066, would expand the number of businesses that could participate from five to 20. It was approved by the Senate Rules Committee, but without addressing complaints from black farmers that they had been shut out of the process. It now goes to the Senate floor. New Mexico Governor Vetoes Industrial Hemp Bill. Gov. Susana Martinez last Friday vetoed a bill that would have allowed research into industrial hemp. The bill, Senate Bill 94, was filed by Sen. Cisco McSorley (D-Albuquerque), a political foe of Martinez, and McSorley said he thought the veto was "political payback." Rand Paul Attacks the Drug War. The junior Republican senator from Kentucky who is seeking the GOP presidential nomination used a speech in Las Vegas last Saturday to blast the drug war. "The War on Drugs has created a culture of violence and puts police in an impossible situation," Paul said. "It has fostered tension in our inner cities. There is an undercurrent of unease in our country." He also argued that ongoing racial tensions stem in part from unfairness in the laws and their enforcement. "Criminal justice reform is not a black problem or a white problem," Paul said. "Everyone should be treated the same under the laws of this country regardless of what religion they are, what color their skin is or how poor they are." British Labor Party's Election Manifesto Hints It May Shift Slightly on Drug Policy. Even though Labor has attacked the Liberal Democrats as "soft on drugs" during the run-up to British elections, Labor's own election manifesto hints that it, too, may be softening. The manifesto says that taxpayers pay the cost of "drink and drug misuse" and offers "early years intervention" -- not more arrests and more imprisonment -- as a solution. "We know drug addiction continues to be a major cause of crime," the manifesto says. "We will ensure drug treatment services focus on the root causes of addiction, with proper integration between health, police and local authorities in the commissioning of treatment." Again, the emphasis is on treatment, not punishment. Labor appears unwilling to continue with its "tough on drugs" approach, but also unwilling to forthrightly articulate a more liberal approach.